Back in June 2012, I have gladly represented FastMotoring to experience the 2012 Porsche Carrera Cup Asia Rounds 3 & 4 at Zhuhai International Circuit in China. Frankly, the entire excitement of this GT3 race is exceptional. 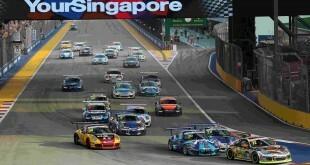 This time around, 2012 Porsche Carrera Cup Asia Rounds 7 & 8 will be a support race to the Malaysia Merdeka Endurance Race 2012 held at Sepang International Circuit, Malaysia. This race event will be happening from 30th August to 2nd September 2012. By the way, tell us in the feedback area below if you would like us to feature more about this race! 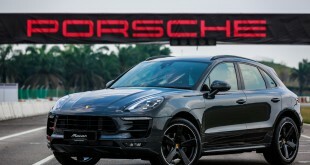 Moving forward, Sime Darby Auto Performance (SDAP) as the official importer of Porsche vehicles in Malaysia announced its participation in the upcoming Porsche Carrera Cup Asia 2012 (PCCA) Rounds 7 and 8. Guest driver, Tan Sri Azman Yahya will be representing Team Sime Darby Auto Performance in its debut race. A well-known corporate figure in Malaysia, Tan Sri Azman previously competed in several local motorsport championships including the 2004 Malaysian Merdeka Endurance Race in Open Class category and the 2004 Malaysian Super Series in Supercars category, emerging as champion in both competitions. SDAP’s decision to establish a race team is to familiarise Porsche customers and enthusiasts to the root of Porsche and its strong heritage of motorsports. 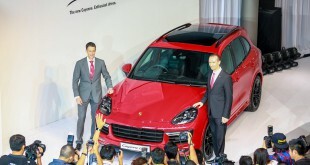 “Porsche stands for motorsports. With many victories and above all, the whole fascination of automobile sports. If you look at Porsche’s history, the very first Porsche has a motorsport history: Just a month after its completion, the Porsche 356 No. 1, won its class in a street race in Innsbruck, Austria. This marked the beginning of the motorsports passion. 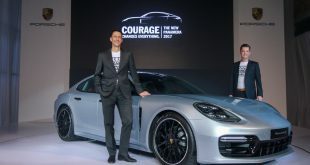 Today Porsche lists more than 30,000 race victories in almost every motorsports series worldwide,” said Mr. Arnt Bayer, Chief Executive Officer of SDAP. “In Malaysia SDAP has supported the motorsport ambitions of its customers by organizing cir-cuit training and track days at Sepang International Circuit. In these events, seasoned Carrera Cup drivers train our customers on how to drive Porsche road cars fast but also safely on the racetrack. The participation in the Porsche Carrera Cup Asia is the next logical step up in customer motorsports and we are proud to support one of our very loyal customers in this. Tan Sri Azman Yahya will represent the SDAP team in our debut race. 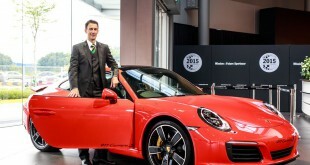 As a sports car company, we are always in support of customers in sports driving,” he continued. Team Sime Darby Auto Performance is proudly supported by its partners, Sime Darby Motors, Symphony, Mobil 1, Michelin, Stand 21, Kurnia Insurance, Research In Motion (RIM) and Motor-sport Playground.